Inhale, exhale seems to be a simple mechanism, right? But it’s not for everyone. Asthma is a very common disease which nearly affects 5% of people. Asthma causes narrowing of bronchial tubes and this result in breathlessness. Chest tightness, wheezy breathing, coughing and breath shortness are some of the common symptoms of asthma. An asthmatic patient can get these symptoms while climbing stairs, walking quickly or while running. Even house dust can trigger asthma symptoms in many patients. Difficulty in breathing is a frightening situation and an asthmatic patient needs immediate attention or doctor’s assistance. Homeopathy plays the role of backbone while treating asthma. Mild asthma is more common among adults and children. Usually the respiratory tract opens up after few minutes or hours. 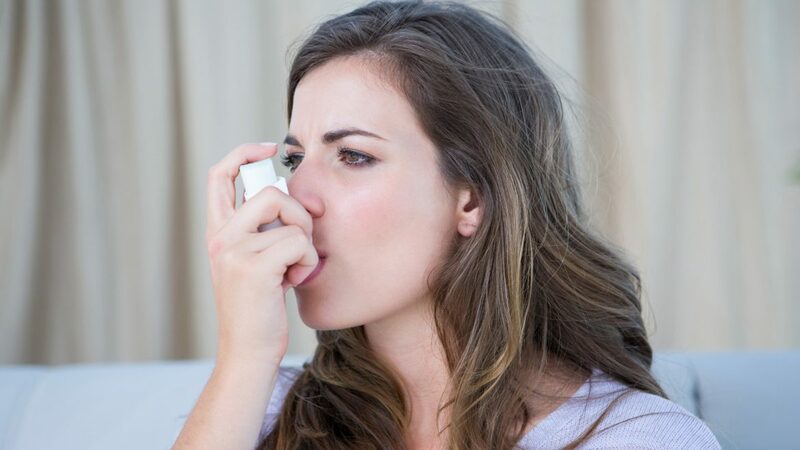 Severe asthma needs medical attention as it remains for longer duration. One should consult doctors in case of mild asthma so as to prevent it under control. Allergy: Allergy of certain substance can cause asthma. These substances can be anything like tobacco, viral infection, eggs, shell fish, physical exertion, prawns, dander, animal feathers, smoke etc. Asthma can also be caused because of some conventional medicines. Infection: Asthma can happen because of infection in respiratory tract or gastrointestinal infection. And this is caused because of change in eating habits, acidity, and unhealthy food. Emotional: Hyper anxiety or stressful life may give birth to asthma. This is true! Homeopathy doesn’t have any side effects as compared to other conventional treatments. Conventional ways especially inhalers can lead to many side effects like increase in heartbeats and weakness of muscles. Mood swing; nausea; allergic reactions; severe headaches can occur because of allopathic treatment. Moreover children with asthma are getting addiction of inhalers which is a cause of worry for many parents. Asthma homeopathy medicines are mild and harmless. Homeopathic medicine for breathlessness not only treats asthma, but it cures the patient completely depending upon his/her symptoms. Homeopathy believes that no two patients are same and hence different medicines are prescribed for same symptoms. The effectiveness of homeopathic medicine for respiratory & chronic asthma has been proved in many research centres. The aim of homeopathy is to reduce the frequency of asthma attack and bless the patient with more disease-free duration without taking help from chemical drugs. Homeopathy treatment involves holistic strategy in which emotional and physical nature of patient is considered. Patient is asked questions related to his anxiety and fear. Environmental conditions like weather change, allergy to dust and other things are also considered before prescribing any homeopathic medications. Natural medications are given to patients that reduce contractions in respiratory tract and boost up patients’ immunity. These medicines improve breathing capacity and this can be measured through peak flow meter. Well! If you are suffering from frequent asthma attack which has made your life miserable then come to Dr. Anubha’s clinic in Hyderabad. Her asthma treatment in homeopathy Hyderabad has cured asthma successfully and blessed a healthy life to patients. Even if you are not getting time to visit her clinic, you can take online homeopathic consultation. Dr. Anubha has years of experience in homeopathy and she is the best homeopathic doctor in Hyderabad. Contact her, book the appointment and get an effective treatment on asthma without any after effects.